Homes listed between April 1 through 15 tend to sell nineteen days faster and sell 1.4 percent above the average selling price, a new Zillow study says. 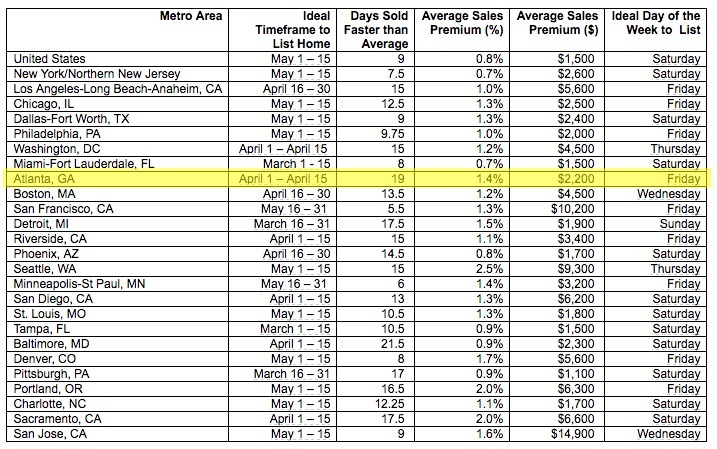 While the real estate market stays strong in Atlanta all the way through summer, data shows the beginning of April to be the smartest time to list your home. “With inventory remaining low in North Atlanta, now is the time to list your home,” said Path & Post CEO Becky Babcock. Mark your calendar for a Friday in April. 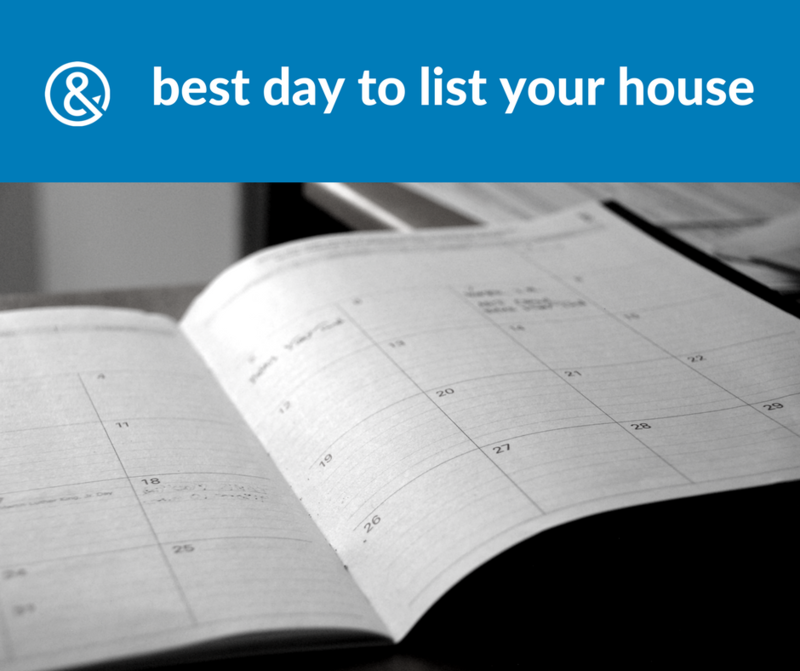 Moreover, Zillow’s research revealed the best day to place a home on the market in Atlanta is Friday — listings that appear on Zillow’s site on this day garner up to 20 percent more views than early-in-the-week listings. “Path & Post always targets an end-of-the-week listing launch. This not only allows time for photos early in the week, it puts your property in front of buyers just as they are planning to tour homes over the weekend,” said Brad Nix, COO of Path & Post Real Estate.